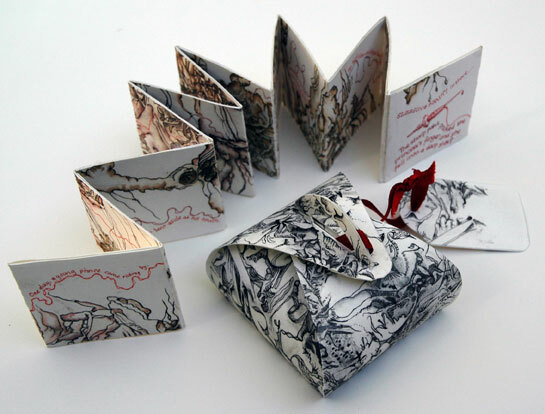 Over the last couple of years I have been experimenting with making small books. They are all very simple, most of them being concertina books, but I have found they give a whole new interpretation to the drawings or paintings they have sprung from. The ‘books’ have evolved over time into objects, often using my prints as a base. Below are some examples. A couple of your books remind me of work by William Morris and Florence Broadhurst…especially your latest plus your ‘walking line’ drawing above the galah piece. I am keen on all of the books pictured here…and each one is quite unique to from the others. I love the way the galahs travel through the space you’ve made for them. They are different aren’t they? I must say it is always a bit of a concern to me that there isn’t always a consistency, but I do like being taken off in all sorts of directions! I hadn’t thought of the William Morris or Florence Broadhurst associations, but I really can see it now you point it out! Thanks Julie. Thank you so much! I love making book/objects! These are beautiful and very inspirational. 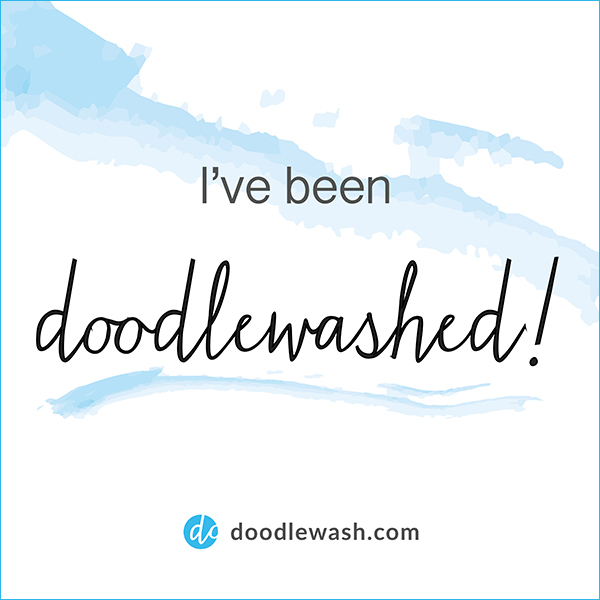 Thank you so much Heather – I am loving making them! Until fairly recently I thought I would never work in three-dimensions. Now I am loving it, and it is the tactile nature of it that is a major part of the pleasure. Thank you so much – Heather. I will look forward to seeing your works! Love your books Anna, especially the one at the bottom of the page. 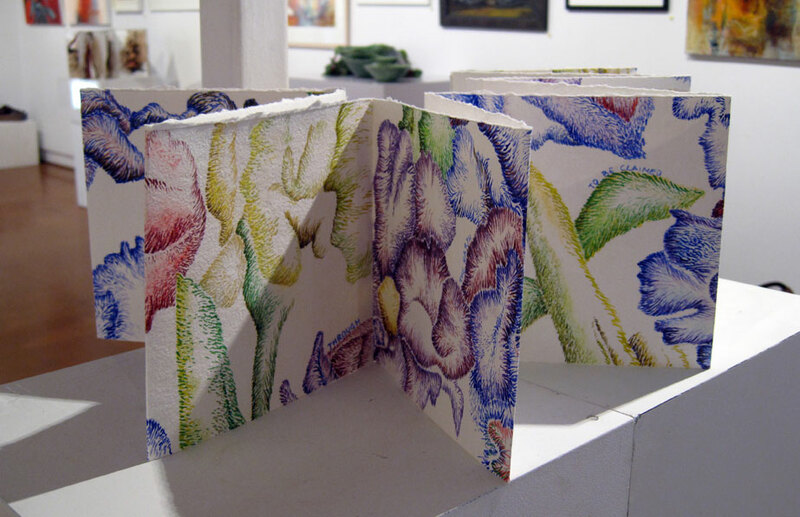 Your drawings remind me of the work of Elizabeth Couloigner, beautifully intricate and delicate. Well done! Thank you Alex – I don’t know the work of Elizabeth Couloigner, I will look her up. Thanks for visiting! Alex, I have just looked Elisabeth up – her work is STUNNING! I have bookmarked her website for future reference. Some of her work looks like encaustic, which is something else I have been experimenting with recently. So inspiring! Thank you! These are beautiful books. Congratulations! I had a lot of fun with them Sue – something I want to do more of! Thank you so much Dina – I loved doing them, must do some more! Anna your books are beautiful and your drawings are stunning. You are inspiring! Thank you so much Bonnie, that is a lovely thing to hear! I love solving the puzzle that is making books (or ‘assemblages’ as I am calling some now, as they often don’t bear a lot of relation to books!). I start with an image, often a print or a drawing and never know quite where it will end up. 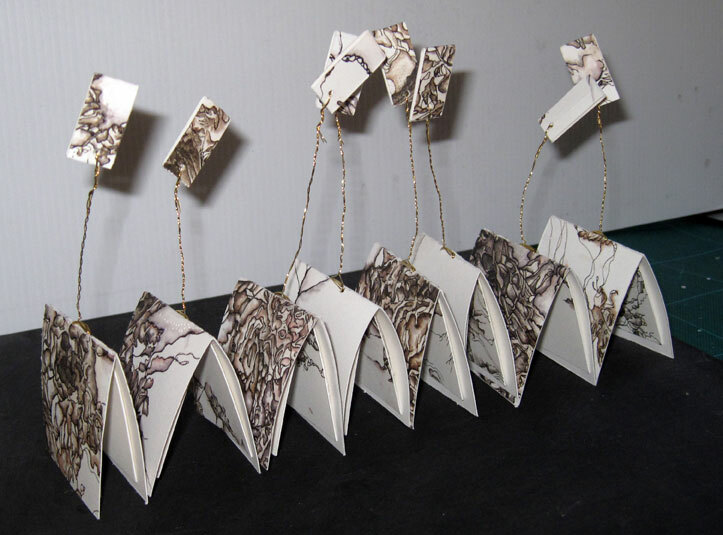 I’m loving your books too, they are assemblages too, so full of inventiveness and a final beautiful object.